With a history of more than 3000 years mixed with the fastest and the most robust urban development, Xian used to be the capital of China and was for over 1100 years at one time. Also known as the eternal city, it is known to host the birth of ancient Chinese civilization along the yellow river basin area. 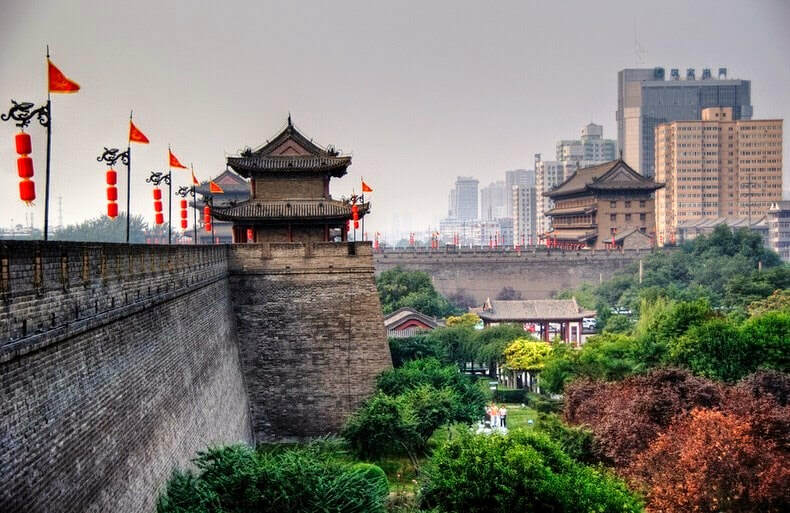 Located in Central North-West China, Xi'an was once inhabited by the famous Terracotta Warriors of the Qin Dynasty making it the cultural and religious center for the Chinese people. Xian has a history of being ruled by over 73 emperors throughout its timeline which means that it has always been an important link between the business and exports for China. With more than 37 million people living and earning their daily fill, Xian covers an area of 205800 square kilometers making it a huge city. Xian also has a mixed temperature with a combination of warmth, humidity, as well as cold and dry weather throughout the year making it pleasant to visit at anytime. Visiting Xian, locals are really warm and understanding within this city. Whether you intend to visit the famous Terracotta Warriors, Ancient City walls or a number of other museums and other attractions, Xian really offers everything. ​With such a vast history, Xian is now a center for Chinese development, educational institutes, economy, political structure, travel network and revenue generation for the entire China. It is an essential blend that China is proud of as it supports such a vibrant history and the development that it has witnessed recently making it an absolute delight for visitors to travel here on their Wendy Wei tour. Wendy Wei Tours offers a variety of different packaged tours as well as custom tours including Xi'an, among other attractions and destinations. To find out more, please visit our Tours page or Contact Us directly to find out more.